A long-wear 5-in-1 beauty balm that can be used under (or instead of) foundation to cover imperfections and even the look of skin tone. The multitasking formula draws moisture to skin, helps reduce the look of fine lines, and defends skin against damaging UVA/UVB rays. Available in 4 shades for all skin tones. Get flawless, glowing skin. This multitasking 5-in-1 Beauty Balm is designed to do it all. Formulated with muscadine grape polyphenols to protect against damaging free radicals, plus vitamins C, E, and B5 to nourish. Green Algae helps improve firmness, while an ocean-derived polymer creates a pollution-protection shield. Naturally derived zinc provides chemical-free SPF 30 Broad Spectrum UVA/UVB sun protection. YOUTH® products are all 100% vegan and cruelty free. 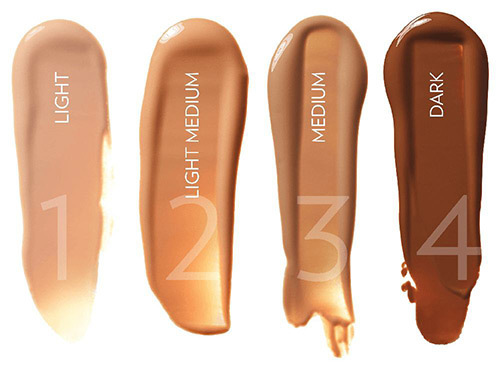 Comes in 4 blendable shades designed to provide coverage for all skin tones. Apply as a last step in your skin care regimen. Apply to fingertip, placing small dabs of the BB cream on your face in numerous places. Gently spread and smooth together for a flawless appearance. Apply once for a natural look or layer for more complete coverage. Warnings: For external use only. Do not use on damaged or broken skin. When using this product, keep out of eyes. Rinse with water to remove. Stop use and ask a doctor if rash occurs. Keep out of reach of children. If swallowed, get medical help or contact a Poison Control Center right away.